Stacie is the best insurance agent that I know. She worked diligently to make sure my husband and I were taken care of. Its the first time I have been able to access health insurance at an affordable cost for the past 5 years. I would definitely recommend her for all your health and life insurance needs. Thank you so very much for all that you do! She's the smartest insurance gal I've ever met. She really knows her stuff. She also helped me figure out my retirement needs and explained things in a way I could understand it. I highly recommend her. Wish I had met her a few years ago. She saved me a ton of money on my health insurance and my life insurance. THANK YOU!" 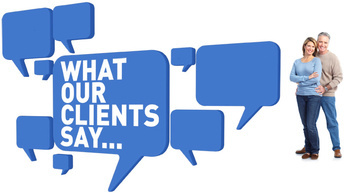 "Stacie is by far one of the best insurance agents I have had the pleasure of doing busines with. She goes out of her way to help in any way she can to get the answers to questions I have had regarding all of the new health insurance requirements. She is personabe as well and I would recommend her to anyone looking for a good insurance plan." "Wow! I can't believe I hesitated for so long on asking for help signing up for insurance!! I am SO glad that I found Stacie on FB and contacted her. She answered all my questions and was so timely and quick! She really took on all of the "hard" stuff for me and did it all! I am sooo relieved! I will not hesitate to refer her to anyone else who needs help because she is GREAT! Thank you so much! " "Stacy was great. Very helpful was able to work with me around my schedules it made this process so much easier for me." "I'm so glad I was referred to this company! I got placed with the most sweetest agent Stacie Anthony, that worked hard to get me the cheap health insurance that I was looking for. We had some problems with my application and I kept getting denied. She could have just said sorry and went on with applications that were already approved, I felt my profile was important and she worked hard and got me accepted... now I'm going to be paying 100.00 cheaper then I was previously paying. Thank you for your hard work Stacie! I highly recommend her as your financial advisor!!! " "Great service and highly recommend !! Stacie helped us attain health insurance thru the health exchange and I was so happy for her assistance.. Thank You "
"Stacie Anthony. The real gem that Idaho needed. Health insurance? What's that? Thanks to Stacie I now have a chance to survive in the real world! THANK YOU! " "Stacie is great to work with :) She really cares about what you need and what will work for you. I highly recommend her "
Stacie was wonderful to work with. She is professional and knowledgeable about insurance. She saved us over $300/month on health insurance. I would use her again in a heart beat. Thanks so much for your awesome job and help!!!! Highly Recommended. "Stacie was such a life saver and helped me get insurance fast. And helped me understand it better as well. " Stacie was awesome to work with. Was on top of things even at the last minute. Really appreciate working with her. "Love this girl. She is knowledgable, patient and easy to talk to. Thanks Stacie for all your help. " "Super helpful and knowledgeable. I was DREADING getting insurance but Stacie made it so easy! "